Since it was first created back in 2005, YouTube has become one of the top sources for free video entertainment for people all over the world. From music videos to educational aides, you can find just about anything on YouTube. But, for as long as the website has been around, there are still many YouTube tricks users have no idea about. 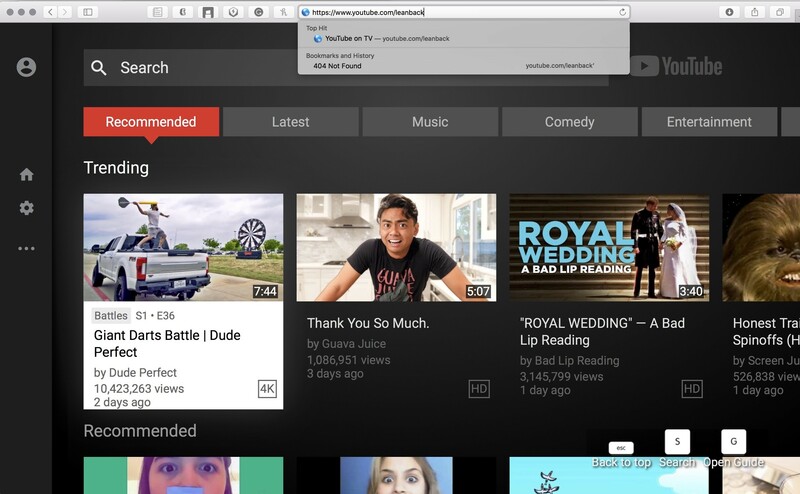 Here are some of the smartest YouTube tricks you should know for when using YouTube. Not only will they enhance your experience a little, but you can impress all your friends as well! Say you found a video you want to watch, but don’t have time for just yet. But, you are also worried you may not find again when you are ready – so what do you do? Well, lucky for you, YouTube’s developer thought about this very problem. Next time you find a video you want to save for later, just select the ‘Add to’ option below the video. Here, you will see a playlist titled “Watch Later,” which is the one you want. Once it has been added to the Watch Later playlist, you can go back when you’re ready to actually watch it easily. Just go to YouTube’s homepage and look at the sidebar where your library is and you will see your Watch Later playlist and all the videos you have saved. 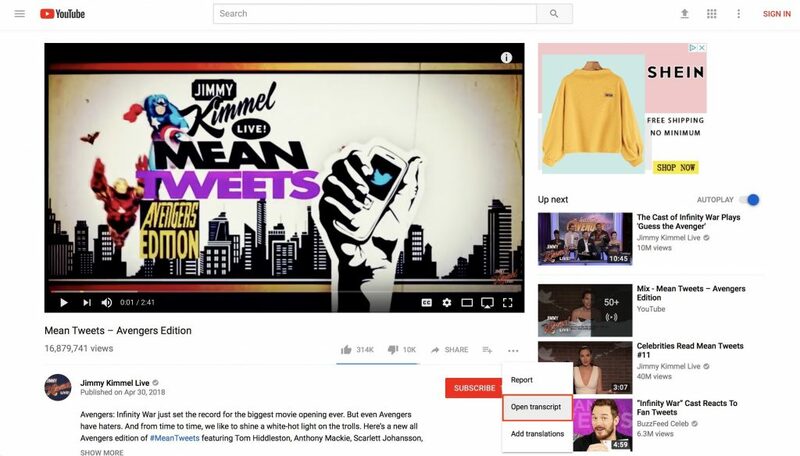 YouTube has created a special YouTube interface designed specifically for smart TVs called YouTube TV. But, it is also available on your computer, all you have to do is type in “www,youtube.com/leanback’ to access it. This version of the website has many of the same features you would find on the normal version, but with a much cleaner and simpler view. You also have the option to forego using your mouse and browse through the videos with just your keyboard in this mode. If you plan on getting a smart TV at some point, this could be a cool way to know what to expect in some of your favorite apps! 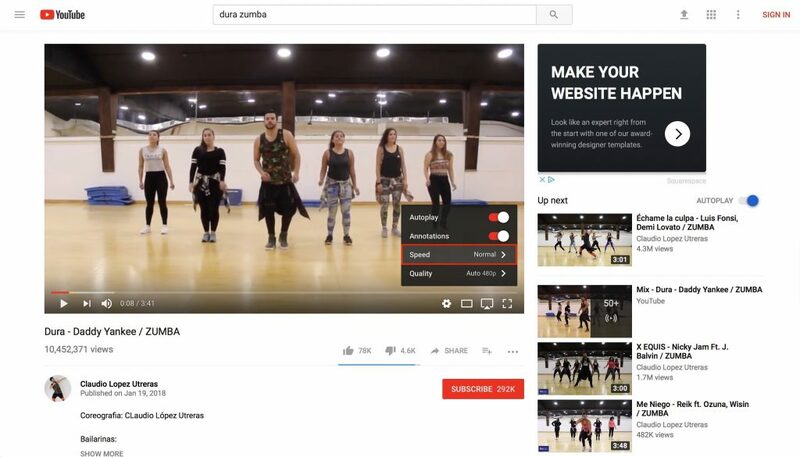 Maybe you are trying to follow a new recipe or learn a new dance, but the video is just too fast for you. So, you end up having to hit reply about a million times just to be sure you don’t miss anything. While this isn’t difficult, it can be time-consuming and very frustrating. What if you could just slow the video down, though? You may not know it, but YouTube actually does give you this option! When you have a video you want to watch at a slower rate, without having to. Constantly hit reply or go back. 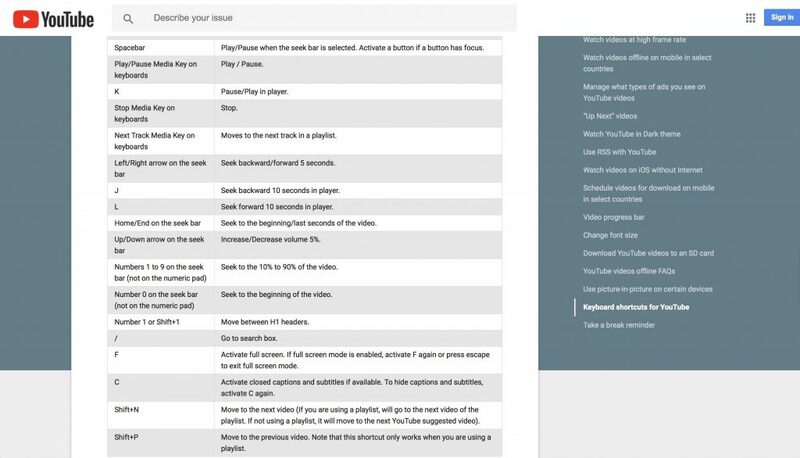 All you have to do is click on the settings gear, just below the progress bar, and you will find the option to change the video’s playback speed. You can slow it down to as much as .25 fps or speed to up all the way to 2 fps, it just depends on what it is you want. Do you want to send someone a video, but want them to start watching from a specific point? This is easy to do! When you find the video, let it play up until the point you want it to start at, and then hit pause. 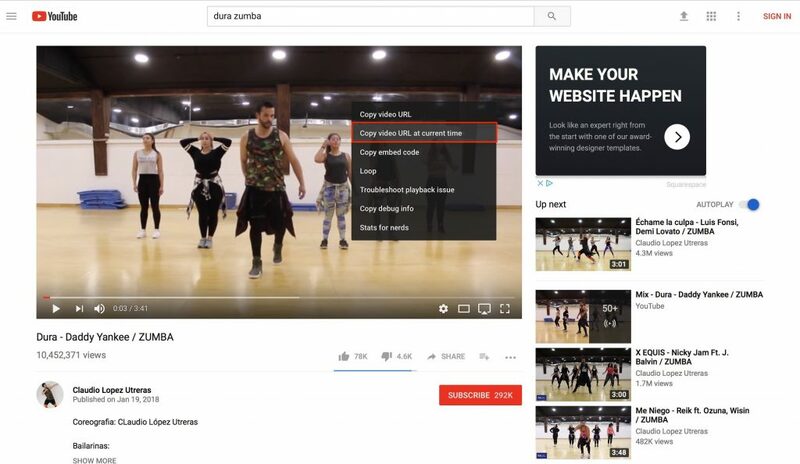 Then you can right-click on the video to get various options, with one of them being to “Copy video URL at current time.” It will make it possible to easily copy the link and send it to whoever you please. Alternatively, you can follow the same initial steps and then hit the share button just below the video. Then you check the box that says “Start at” with your desired time. Going through this method, you can also get a link to embed the video into a blog or website starting at that exact time. Sometimes, you may find yourself a little embarrassed about your viewing history, or you don’t want it to be tracked for some reason. But, deleting videos from your viewing history can also help to ensure that you don’t get recommended videos for topics you don’t necessarily care much about. 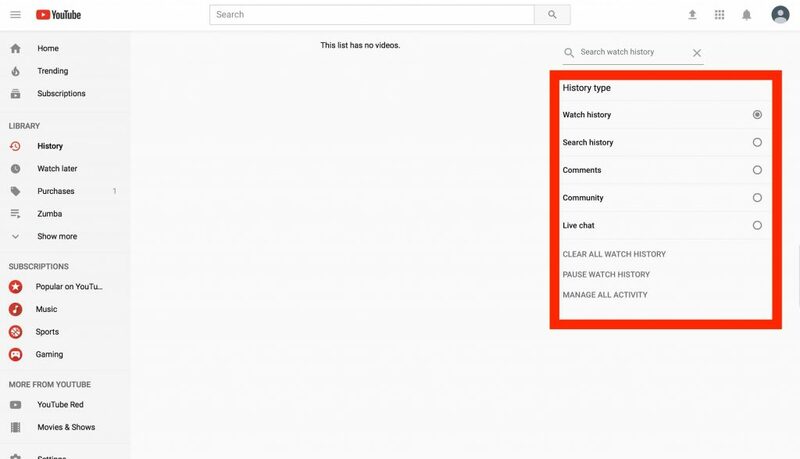 YouTube makes it possible for users to not only delete their history, but pause it as well. To do so, you just have to go to your viewing history and click the option you want. Or, you can go through and individually delete videos from your history. It is the same process for your search history, which you can find on the same page. If there is a video that you just can’t get enough of; whether it is a funny video or your new favorite song, you may find yourself wanting to watch and listen on repeat. But, hitting replay constantly can be exhausting. Well, instead of doing that all the time, you just have to do is right-click on the video itself. You will see an option called “loop.” Hit that, and you can enjoy your desired video on endless repeat – or at least until you get tired of it. You don’t have to worry about this making a loop for every video you watch, though. Once you leave the page, the loop setting will be turned off, until you are ready to use it again. Everyone has seen a moment in a video and probably thought how great it would be as a gif. But, making them seems impossible or time-consuming; especially if you don’t know how to do it. Luckily, YouTube recognizes this problem and has provided a simple solution for users. Next time you find a gif-worthy moment in a video, go up to the URL and add ‘gif’ right before YouTube, so it looks like gifyoutube.com, followed by the video code. This will redirect you to the website gifs.com. where you can then create your very own gifs. With this site, you can even edit the clip and add things like stickers and text. To make your video-watching more streamlined, YouTube has also made it possible to use your keyboard for shortcuts. You can pause and play videos using either the space bar or “K” key. To go back 10 seconds, all you have to do is hit the “J” key, and to go forward by 10 seconds, you just need to hit the “L” key. Or, if you want to go second-by-second when rewinding or fast-forwarding, you can use the comma and period keys. You can even mute videos by hitting, you guessed it, the “M” key. That means you don’t have to constantly move your mouse every time you want to perform an action on a video. If you play around, you will find other cool shortcuts as well, but these are some of the most common ones, and it may be one of the most useful YouTube tricks around. 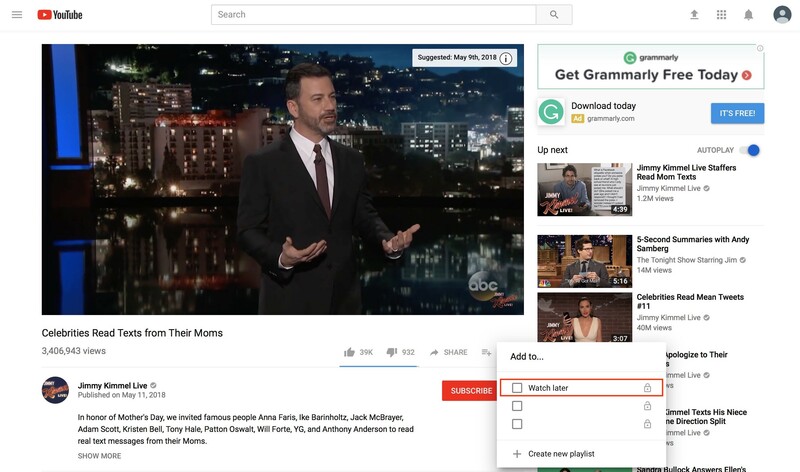 If you want to follow along with videos you watch to be sure you catch every word being spoken, there are two YouTube tricks you can use: the well-known one is to turn on closed captions. But, if you don’t want text disrupting your view of the video, you also have the option to open it as a transcript next to the video. This method will also break the text down by time and if you want to skip to a certain point, all you do is click on that portion of the text. To open up the video transcript, all you have to do is click the three dots below the video, next to the add to playlist symbol. But, keep in mind, these transcripts, just like the closed captions, are not always perfect. Finally, although this is not a YouTube trick itself, don’t forget about AllYouTubeDownload for Mac. This popular and free software lets you download your favorite YouTube videos straight to your Mac in any format! YouTube is a popular website, and with so many different kinds of videos, there is something for everyone to enjoy. But, the way to make it more enjoyable, or at least get the most out of your time browsing, is to know all the cool tricks and shortcuts that exist. So, next time you are browsing YouTube, give some of the things mentioned above a try. They are fun, quick, and easy to learn and use, and can be really helpful too. Not just that, but you may be able to impress your friends and family with these cool tricks. Just keep in mind that some of these YouTube tricks will require you to be signed into your YouTube account in order for them to work. 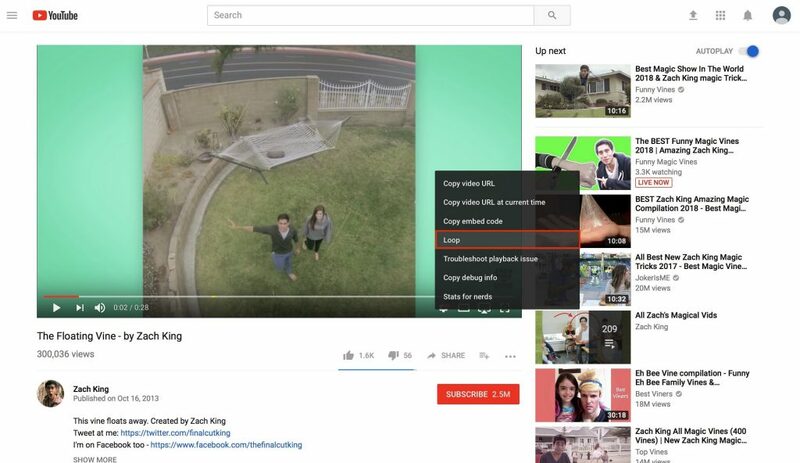 But, many of these tricks can also be used on the mobile app version of YouTube, so play around with them and find your favorites!